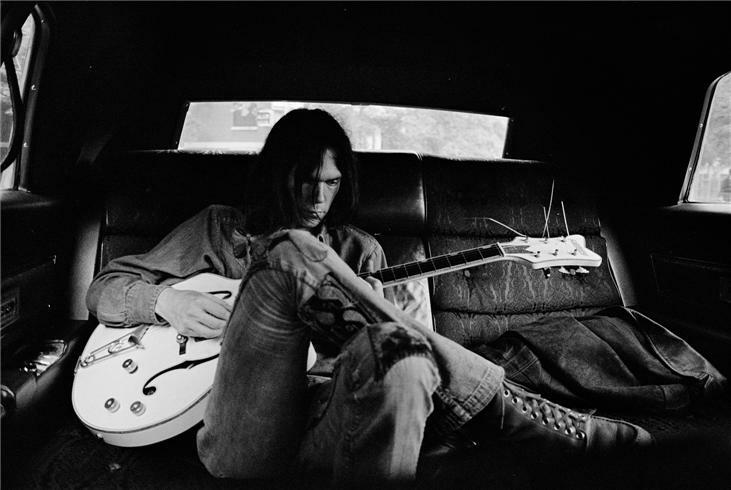 Neil Young’s First Drafts: this is a view into the transformation process between the first idea for a new record and the album actually published. It’s part of the artist's creative process and part of the magic behind the records we love. 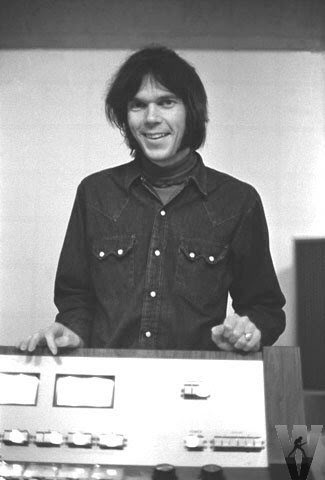 Thanks to Archives Vol.1 we have now many information about the “backstage” of the first four albums, from Neil Young (1968) to Harvest (1972). Archives shows us some of Neil’s first tracklists for these albums and the original manuscripts of the songs, some of which were partially different from the ones we know. Neil started to think about its debut album (released in the end of 1968 and again, in a remixed version, in January 1969) since the Buffalo Springfield days. The first ideas date back to about February 1968. In Archives Vol.1 we can see two tracklists totally different from the released one. Neil wrote “Laughing Lady” and “Tulsa” in the Buffalo Springfield era; in the Springfield’s box set (2001) there’s the demo version of “Laughing Lady”. The band recorded “Falcon Lake” and “Whatever Happened”, available on the box set too. “Slowly Burning” was made by Neil and Jack Nitzsche still in the Springfield era, and we find it on Archives. We can listen only a live take of “Whisky Boot Hill” (later part of the “Country Girl” suite). “LA” years later became part of Time Fades Away, but it's an 1968 acoustic track according to Neil himself (listen to the 1973’s tour bootlegs, the only source that provides a brilliant acoustic take). The other songs mentioned in the two tracklists, as far as we know, were never recorded. But, thanks to Archives, we can read the first draft of “Pennyworth”, “Scarborough” and “Burning” lyrics plus some attempts for “I’ve Loved Her So Long”. The recording sessions were held in the summer of ’68 and the result was a completely different list of songs: the ones that are actually on the album plus “Everybody Knows This Is Nowhere” and “Birds”, in their first attempts available in Archives Vol.1. Both the old ideas, compared to the released record, are actually two other different records, sharing just a couple of tracks. The released record is, probably, more developed, whereas the first ideas were more tied to the Springfield stuff. It would be really interesting, however, listen to songs as “Saturday Night” and “Whisky Boot” with the sound of the ‘68 sessions. Let’s do some musical archeology and recreate an imaginary First Draft Edition of Neil Young, 1968, taking from the available out-takes, alternative versions, demos and some live takes. “This is a song from our new album… when we’ll record it…” says Neil at the Fillmore East, March 1970, referring to the “it-might-have-been” second Crazy Horse album after Everybody Knows. It never happened: it’s just the first of a long list of wastes by Neil. But between the end of 1969 and the beginning of 1970 the project was alive and running. Also “Helpless” was played but, due to an error, not recorded. Archives shows some tracklists handwritten by Neil for this record, but they date back to 1970, after the mentioned sessions. The first is “a list of song to record” (January 1970), with background vocals by Danny Whitten & The Ronettes, and a funny title: “A Country Store Plays Old Changes”. The latest is a song by Whitten, later recorded only by Crazy Horse for their 1971 record (without Neil). We don’t know nothing about “So Many People” (maybe a working title, who knows). 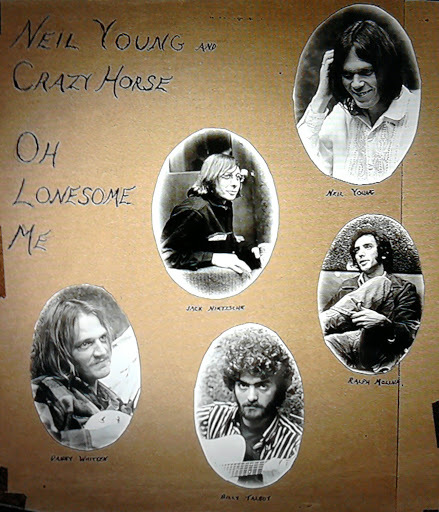 There are two other tracklists dated back to February 1970, which include a title for the album (Oh Lonesome Me) and even a sketch of the artwork. In the first tracklist, which is very strange, “Long Walk Home” jumps to the eye because we know this song as part of Life (1987). So how would it be with the original Crazy Horse sound? “Join Back Home” is a complete mystery. Very weird is the presence of “Cinnamon Girl” and “Everybody Knows”, already released on the previous album, as well as some old Springfield tunes. Since these tracklists follow the mentioned sessions, probably in 1970 Neil was thinking of new recording session with Crazy Horse (of course never happened). Compared to the songs recorded in the summer of 1969, Neil’s ideas were changed. The second tracklist is clear: it’s Oh Lonesome Me that was slowly turning into After The Gold Rush, the project next to come that would involve some of these songs. But there is a mid-stop between Oh Lonesome Me and Gold Rush, and it dates back to March 1970 according to Archives manuscripts. It was a double LP part live and part studio, with some of the new songs (see below). The sessions for the second unreleased Crazy Horse album are still partially unreleased. 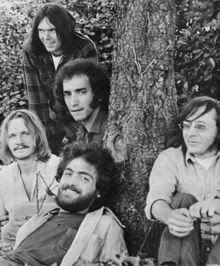 Archives contains live takes of “Wonderin’” and “Winterlong” but not the studio version, as well as “Look At All The Things” is missing (written by Danny Whitten and later re-recorded by Crazy Horse for their 1971 album). “Oh Lonesome Me” (Don Gibson cover) and “I Believe In You” were recycled in After The Gold Rush. Let’s recreate this lost album taking from the stuff we have and adding some other songs of the era (including “When You Dance”, recorded for Gold Rush but it’s still the original Horse). After The Gold Rush was recorded and released in 1970 as the result of Neil’s lifestyle in his Topanga Canyon’s home. As we said before, it followed the death of Crazy Horse’s Oh Lonesome Me. The birth of Gold Rush is shown by an interesting “memorabilia”: the paper inside the vinyl, which reports a well-known alternative tracklist written by Neil (withoud date). Thanks to Archives Vol.1, now we know more details about these songs. Furthermore, Archives contains another tracklist dated back to July 1970. The recording sessions were held mainly in March 1970, so the second tracklist is subsequent. Surely it was a work in progress, probably related to the famous Dean Stockwell’s idea for a movie called After The Gold Rush. Neil wrote that song for the soundtrack; it's not mentioned in the lists although it was already recorded. The only out-take of the sessions was “Wonderin’” (available on Archives Vol.1). “I Need a Love” and “Long Walk Home” weren’t recorded, according to Archives. “Big Waves” was the first attempt for “Powderfinger” and we can read the original lyric sheet. The other songs (“Dance”, “Sea of Madness”, “Everybody’s Alone”, “Sugar Mountain”) were already listed for the previous records but they were bound for oblivion. The first tracklist is totally different from the released one, the second is much more similar. It isn’t easy to recreate a First Draft Edition of After The Gold Rush: except “Wonderin’”, we can find versions of the songs that are too different from the Topanga sound. Anyway, taking from rarities and adding some tracks from the released record, here’s a possible result.